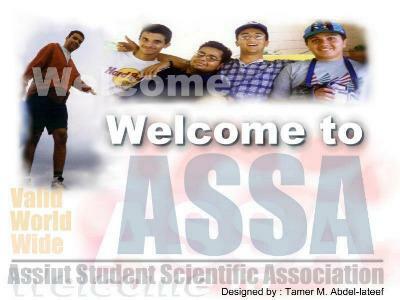 Welcome to the Home Page of..
Assiut Student Scientific Association, founded on the year 1986 under supervision of Prof. Dr. Mahmoud Hamdy AbdelRaheem. ASSA is a member of the Egyptian Medical Student Association (EMSA) which is a member of the International Federation of Medical Students' Association (IFMSA). It is a Non-Governmental Association related to the World Health Organization (WHO) a branch of the United Nations (UN).